MP3 Player With A T-Flash Memory Card, Up To 8G, Fashion Portable Digital Music Player / Video / Media Player / FM Radio /. An MP3 player is actually a function-specific small computer. 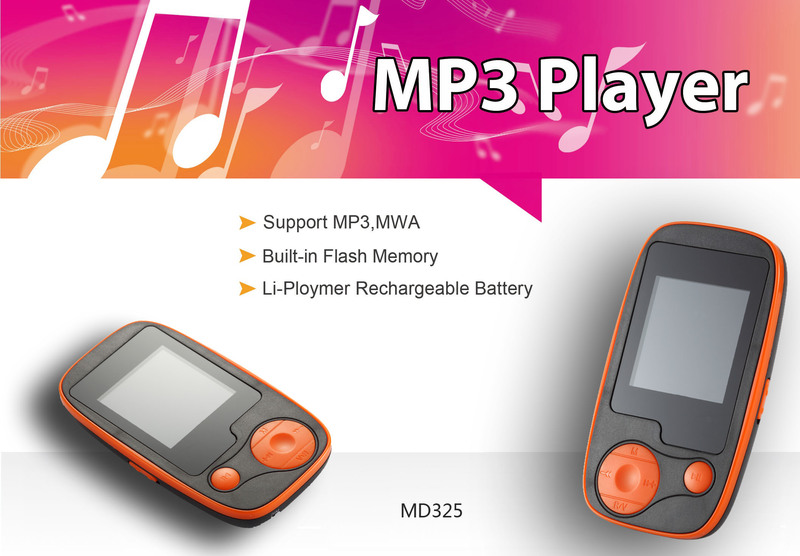 In the small body of the MP3 player, it has MP3 player memory (memory card), MP3 player display (LCD display), MP3 player central processing unit [MCU (microcontroller) or MP3 player decoding DSP (Digital Signal Processor), etc. An MP3 player is actually a function-specific small computer. In the small body of the MP3 player, it has MP3 player memory (memory card), MP3 player display (LCD display), MP3 player central processing unit [MCU (microcontroller) or MP3 player decoding DSP (Digital Signal Processor), etc. The microprocessor is the "brain" of the player, which is used to accept the playback control selected by the user, and displays the currently played song information on the liquid crystal display, and then issues an instruction to the data signal processing chip to accurately process the audio signal. .
Mini&Clip-on design: light, cute and refined. A good choice for sports. Lossless sound quality: Support MP3 / WMA / OGG / APE / FLAC / WAV / AAC-LC / ACELP audio format, you can enjoy high sound quality. Multi-function: support music playback, FM radio, FM / recording, folder viewing, resume playback, etc., to meet most of your needs. Long battery life: MP3 Player With A T-Flash Memory Card, Up To 8G, Fashion Portable Digital Music Player / Video / Media Player / FM Radio with built-in 200mAH rechargeable battery. The audio playback time is 11 hours and the video playback time is 3 hours.